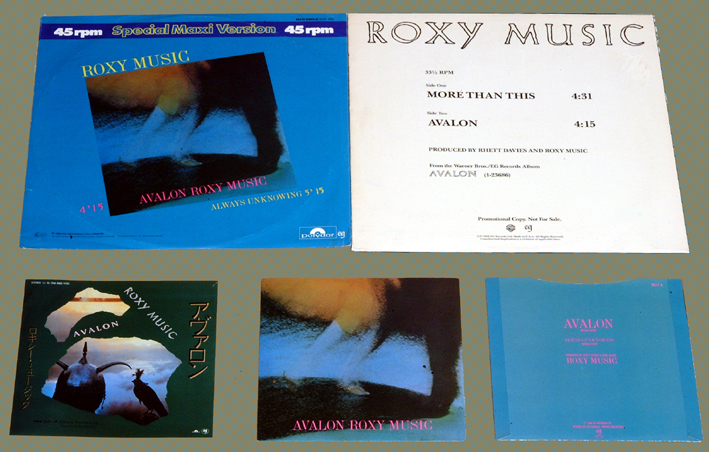 Lyrics to the song Avalon as recorded by Roxy Music. Bryan Ferry discovered vocalist Yannick Etienne in the studio where he was working on the Avalon album. He heard her in the adjacent studio and asked her to join him on his recording of Avalon. The result is a stunning vocal sitting on top of Ferry's vocal and Andy MacKays sax at the fade out. The single was accompanied by a non album track Always Unknowing left over from the Avalon sessions. The single peaked at number 12 in UK. The single was slightly different in that it had a Yannick's voice on the middle refrain singing the lines "dancing dancing"
The song has been performed on every tour Bryan has done from 1982 - 2001. It was played at the first few shows of the 2001 reunion tour but was dropped until the USA shows. Yannick joined Roxy at the NYC shows for avalon and remained in the band throughout the USA tour. Avalon has been recorded by the actor from the UK TV show 'Lovejoy' Ian McShane. M-People also did a version on their album Fresco. The video was directed by Howard Guard filmed at Mentmore Towers in Buckinghamshire and featured actress Sophie Ward. "I was in a studio in New York when I heard the most haunting voice coming down the corridor. It was Yanick Etienne, a singer from Haiti, who was doing a demo next door. I asked her to sing on our record, which she did in one take, and a piece of recording history was made."